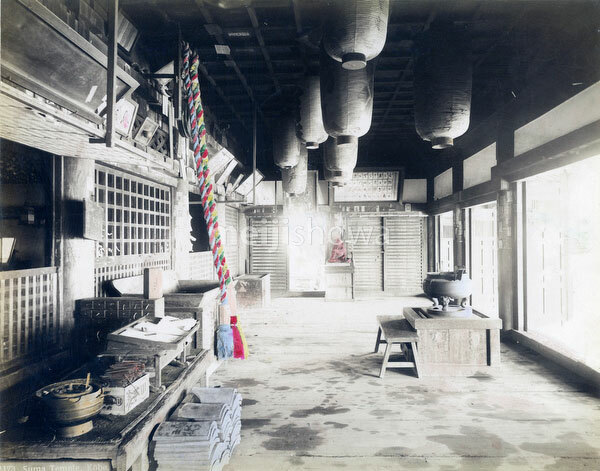 Interior of Sumadera Temple (須磨寺), head temple of the Sumadera Sect of Shingon Buddhism, in Kobe, Hyogo Prefecture. Originally built in 886, the official name of the temple is Joya-san Fukusho-ji (上野山福祥寺). The temple has strong connections with the Genji and Heike Monogatari, classic works of Japanese literature.